You can help by becoming involved in the project. We would like to hear from you if you are willing to contribute information, documents, photographs and recordings relevant to the history of Markethill & District. 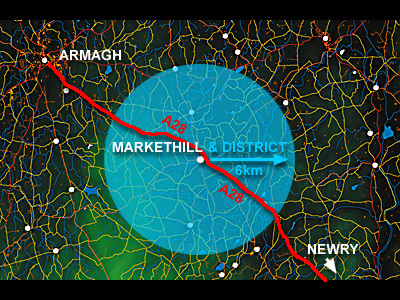 The Markethill District covers an area of about 6km radius (3 miles, approximately) around the town of Markethill. We will be focussing our attention within that area. However, because the history of an area cannot be limited to modern administrative boundaries, you will also be able to find much information on neighbouring places. We value your opinion on the worth of the project and what you might expect from it. Please contribute your suggestions and help to make the project a continued success by emailing courthousemde@gmail.com, with "Bygones" as the subject of your email.